I’ve been looking for a change of scenery for writing. I considered a few of the coffee shops in the area, but I can see an additional ten pounds in my future if I go that route, because, you know, they sell treats to go along with their highly sugared cold coffee drinks, and sometimes, resistance is futile. Rich and I recently went to our county library to check it out. I thought it would be a good place to take my laptop and write for a few hours several times a week. There is a large room with a half dozen tables, a sofa, and two chairs. The magazines and newspapers are in this room. There are loads of windows, and the room is bright. It seemed perfect. The following Monday, I packed up my things, and off to the library I went. Forgive my French. I was all set up and ready to write only to realize I forgot to grab the most current version of my book from my laptop upstairs and transfer it to my traveling laptop downstairs. I was soooo frustrated. I picked a future scene out of my mind and began writing. 11:30 – yawning, looking at clock, wondering if I can go home yet. Feel lost without book to look back on. 223 words so far – that’s 446 per hour – 2 ½ hours to get to 1,000 words. That’s crap. Could use some M&M’s, but there’s no food allowed in library. Chair is really hard and cuts into the back of my legs. Whine, whine, whine. And, for the record, it’s been FOR.EV.ER since I’ve grazed on M&M’s while writing. 45 minutes and I’m already ready to come home. I forgot to bring my current book with me. I’m struggling to remember where I left off and what to write next. Washed the car on the way down here – ha! – the trunk lid wasn’t latched. You thought it was wet in there before. And I forgot my mouse! I hate using this pad thingy. If there’s any good news, it’s that I have almost 500 words done so far. I’m making progress. If you whine in the forest and there’s no one to hear, is it audible? 1,131 words. I’m leaving at 1:00. I have to stop at the store and pick up a few things on the way home. He still ignores me. 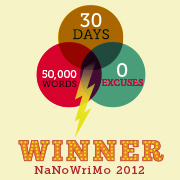 I continue writing … and I’m on a roll. 1,857 words. The end of first day writing and two hours in the library. Not great, but not bad. The drawbacks to writing at this library were that every time I coughed, it sounded three times as loud because of the echo effect. My clacking keyboard keys weren’t that loud, but they sure sounded loud in that room. And, I was surprised by how many people talked loudly on cell phones or just talked loudly to each other in the room. Using earbuds to listen to music on my iPad helped but didn’t quite drown everyone out. Even the library workers made a lot of noise using a microfiche machine. I’m going to try a different library. There’s a library closer to us that isn’t quite as large. I won’t have to deal with an echo, and I think the workers are stricter when it comes to talking. Do you have a favorite place to write? Have you tried writing outside your home? I’d love some new ideas. Oh! And Rich wasn’t ignoring me. He was visiting with his brother-in-law and left his phone in the den. I guess my whining wasn’t audible after all. Here we are, several days into 2019, and I haven’t made plans for this year. I’m not one for making resolutions, because even though I can be determined and steadfast, I rarely stay the course. Long-term goals are easier to set. I’d love to blog on a regular basis again. I’d love to write over 1,000 words a day – or better yet, over 3,000 words a day. I’d love to take the time to read again. After reading 65 books in 2017, I logged a whopping eight books in 2018. I’d love to find the time for managing my business more efficiently. I want to handle social media and marketing in a more productive manner. I need to limit my (escape) time playing Don’t Starve and hope the new edition of Don’t Starve Hamlet doesn’t hit the PS4 anytime soon. All of my goals are realistic and doable. It’s worry and stress that keep me from accomplishing them, but I’m determined to mange that as well this year and make some forward progress. We’ve reached the two-year point where Rich hasn’t been able to work. His health has recovered, but his back has not. I’ve been our sole breadwinner for seven months now, and I feel the pressure. This brings me to sharing that I am coming up on an anniversary. February 8, 2012 was the day I sat down and tried my hand at writing. I can’t believe it’s been seven years. Honestly, seven years! It seems like just yesterday my family was laughing at me for even trying. I would have never dreamed I would have sixteen books published by now, over 93,000 followers at BookBub, and sometime last summer, I crossed the $100,000 total earnings mark. That sounds really exciting, doesn’t it? It is – especially when I remember I only made $75 my first year. However, do the math. Averaged over six profitable years, it has been “helpful” income. I feel in my heart I can do better. I want 2019 to be a better year. I want to publish all three books in my new series, and I know I have one Two Sisters and a Journalist book in my head – two would be perfect. I get a tingly feeling of excitement just thinking about what I could accomplish if I can get my mindset right and forge ahead. In other news, we have a new dog! 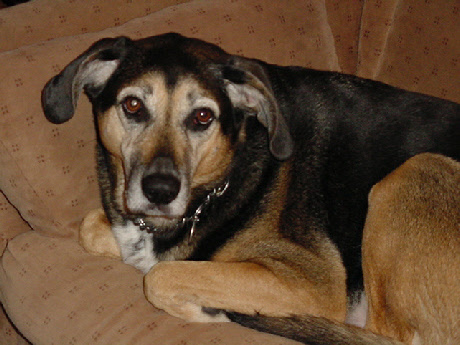 We rescued Riley, a nine-year-old beagle/dachshund mix. He’s super sweet, well behaved, and an especially great companion for Rich. We think he wouldn’t mind riding on the motorcycle, because when Rich first showed it to him, he hopped right up. How are you doing with your resolutions/goals so far? What’s your number one goal for 2019? Does your dog ride a motorcycle? 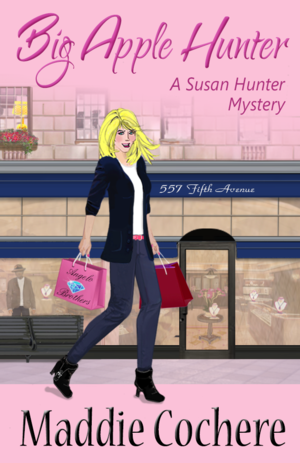 Stanley Pearl hit the market in June with little to no fanfare, and because I didn’t have a way to know how well the book would be received, I opted to apply for a Readers’ Favorite review. The review was given by a man! It was so nice to get feedback from a man that I wrote Stanley’s character as credible and real. It’s been a while since I’ve given away any free books, so let’s give Stanley away! Please note that Stanley Pearl is a bit racier than I usually write but would still garner a PG-13 rating at the movie theater. Here is a code for a free ebook at Smashwords. This code is good through the end of the month and expires on August 1st … YL58R. Simply go to the book page on Smashwords and enter the code at checkout. If you would prefer to have a free ebook through Amazon, please let me know through the comments section below and I’ll email a redemption link from Amazon to you. You’ll then simply have to click the link to download your free copy. If you choose to read the book, I hope you enjoy Stanley’s story! Phew! It’s been a while since I’ve been here. I had hoped to get back to blogging on a regular basis, but that thing called LIFE got in the way (Rich sick for over a year, nearly died, made a full recovery … all is well). I’ve been writing again, and I’ve recently published two of the three books I’ve been working on for over a year. 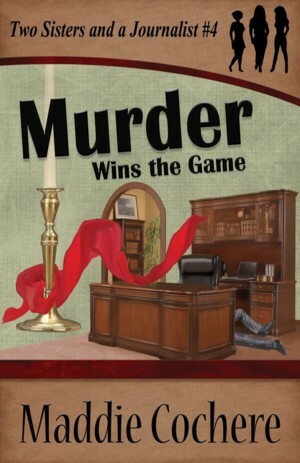 The first is number eight in the Two Sisters and a Journalist series – Murder Breaks the Bank. I’m still enjoying writing the antics of Jo and her family, and I don’t have plans to end the series. Two weeks before Thanksgiving, a man hires the investigative firm of Two Sisters and a Journalist to protect him. Jo Wheeler accompanies him to the bank with disastrous results. Jo, Pepper, and Jackie must now scramble to find out who murdered their client before Sergeant Rorski sends the wrong man to prison. A rash of car vandalism and a Brussels sprouts caper also keep the three women on their toes, and it doesn’t help Jo’s mounting headache that Mama is preparing a comedy routine for open mic night at a favorite pub. Stanley Pearl’s life has been turned upside down. His wife ran off with another man, leaving Stanley to raise his teenage son alone. He takes the summer off from his accounting position to stay home with his son and write the novel he always dreamed of writing. When a wealthy client demands Stanley help her nephew with his less than legal accounting, he has no choice but to say yes. Before he can deliver the finished work, his client is abducted, and Stanley soon discovers he has something the captors want. 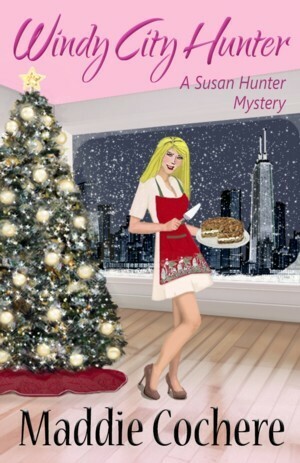 A waitress at the coffee shop where he has been writing offers to help Stanley by introducing him to her ex-CIA brother. There’s no denying the chemistry between Teresa and Stanley, but can he stay alive long enough to explore the possibility of a relationship? The third book, Delicious Death, is in progress. 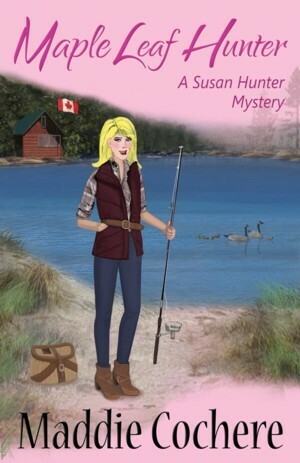 It’s the first in a new cozy mystery series set in fictitious Appleseed, Ohio. I’d love to publish this book in July, but I suspect August is more realistic. On a personal level, I’m still playing that silly Don’t Starve video game, but I corralled Rich into playing it with me, so we’re playing the Don’t Starve Together version – daily. It helped to distract him when he was sick, and we have fun together, so there you go. I can’t leave it alone, and Rich has become an enabler. The motorcycle has been cleaned and prepped, and Rich took it out for a spin yesterday. I honestly thought I wouldn’t be able to ride this year when I recently had a knee go on the fritz, but it has settled down nicely, and I think we’ll be meeting friends for ice cream at the horse manure stand soon. Hope everyone who pops in here is well. Happy Father’s Day to all you dads out there! I signed up for the Goodreads Reading Challenge last year. Ha! That went well. I committed to reading fifty books. I read a whopping twelve. I decided to give the challenge a go again this year. With a positive mindset, I set my number once again to fifty books. I can say with confidence that my goal won’t be a problem. I’ve already read twenty-two of the fifty. I’ve definitely been on a reading binge. I read at night before bed, in the middle of the night when I can’t sleep, and I read for at least two hours every morning before I start my day. Even though I’d prefer to be able to sleep more, I’m enjoying reading. I read many books in my own genre of writing, so my list has quite a few fun, light mysteries, but I’ve also picked up some other good reads. I got a big kick out of the western Unwanted Dead or Alive by Gene Shelton. Two ranch hands lose their jobs and decide to try their hand at being outlaws. A reviewer said they were like “Abbott and Costello go west,” and I have to agree. Groovin’: Horses, Hopes, and Slippery Slopes by Rich Israel was a hoot! He recounts his travels and travails in the sixties as he traveled around the country during the time of free love and drugs, all the while hoping he wouldn’t be drafted. 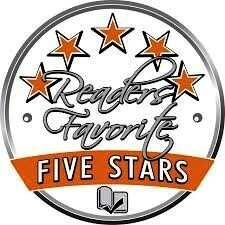 One of my favorite reads so far was The Devil and Preston Black by Jason Jack Miller. The book is billed as Appalachian Noir fiction and “… is your ticket into a world where love can save your soul, where a song can change your destiny, and where evil still hides in the dark corners of the night.” I enjoyed the music references and the description of music as the characters played their instruments. Preston Black was a well-written character. It was easy to feel sympathy for him and to root for him. Summer at the Comfort Food Café is by British author Debbie Johnson and had a wonderful mix of humor, heartbreak, and family life. I like when I continue to think about a book days after I’ve finished reading. This book was like that for me. I’ve only recently become aware of Richard Branson and what a motivating person he is. 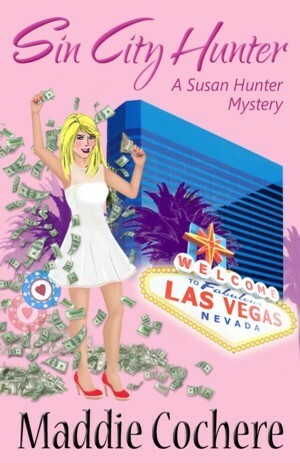 I read Losing My Virginity: How I Survived, Had Fun, and Made a Fortune Doing Business My Way. Having worked in the music industry for several years, I especially enjoyed the stories around Virgin Records, but the entire book was a good read. Have you signed up for the Goodreads Reading Challenge this year? If you haven’t, it’s not too late. If you have, what have you read, and what has been your favorite book so far? I’ve been pretty quiet for well over a year now – not only with my blog but also with my writing. It’s hard to write humor when you feel like your world is falling apart. I’ll spare you the details, but with my mother’s diminishing health, Rich’s allergic reactions to medications, and my own blood pressure problems, it’s been pretty rough at times. It all came to a head last week when Rich had no other choice than to quit his job of thirteen years. It’ll be a few months before the adverse effects of the medications are gone, and then we’ll see how he feels. I don’t know what the future holds for us. We are in unknown territory. It was terrifying to think of no more job security, but I’m calm about it – for now. With Rich finally making the decision to stay home and get well, my stress level has reduced greatly. That’s good for my blood pressure and my heart. What’s also good for my blood pressure and my heart is that I’ve lost twenty-seven pounds since Thanksgiving. After a particularly rough day of heart palpitations, I went cold turkey off added salt, sugar, caffeine, and processed foods. I’m eating mostly fruit, vegetables, nuts, and protein. Do I miss pizza, Taco Bell, M&M’s, and junk food in general? You bet I do, but fear is a great motivator, and I’m too afraid to eat that crap. It’s a good thing I like to cook, because there’s a whole lotta cookin’ goin’ on here. I even make my own spice mixes and salad dressings. It would be nice to have a sous chef. The stress reduction was so immediate after Rich quit his job that I’ve been able to work again – with joy. I’d almost forgotten that he was an audiophile, and he has music blaring from the den for a big part of the day. I actually enjoy this. It’s conducive to his healing and spurs my creativity. I’m happy to say, I finally banged out the ending of the seventh book in the Two Sisters and a Journalist series. I even have the main plot and the beginning of the next book mapped out. Onward and upward! This year can only be better than last year, and I’m expecting great things. 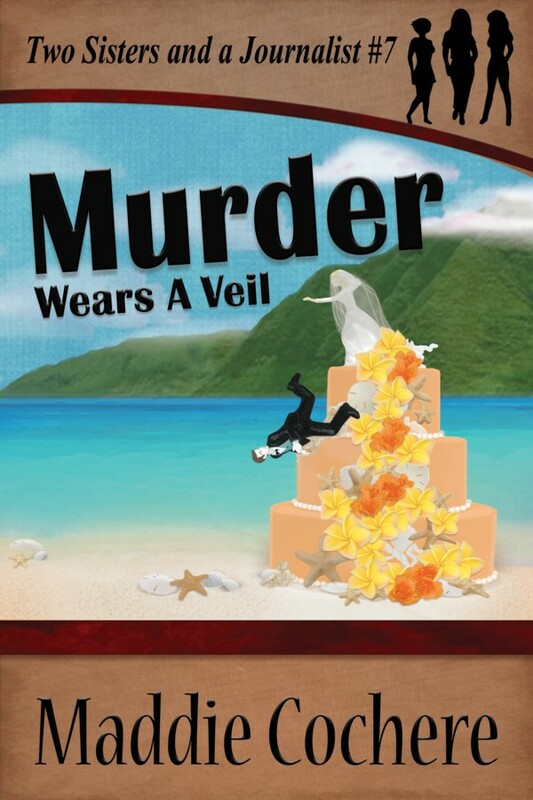 I’ll have the cover to Murder Wears a Veil soon. I’ll post it here with an approximate date of publication. And then I’ll get cracking on those Appleseed cozy mysteries. I think I have my Don’t Starve video game addiction under control. … I think I do. … Maybe I do. My mother is a good sport. I’ve used and abused her in my books but always with a loving heart and with her knowledge and support. 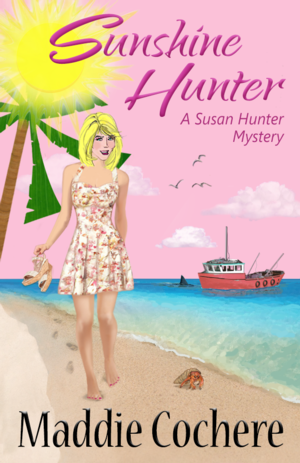 My mother and father were the inspiration behind Susan Hunter’s mother and father. When physically describing Susan’s father, and her close relationship with him, I may as well have been talking about my own late father. Susan’s mother doesn’t resemble my mother in appearance, but many of her characteristics and her love of laughter do. 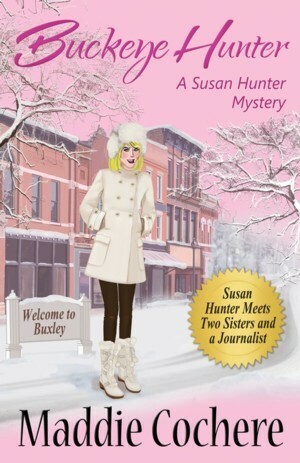 Mom loved reading my Susan Hunter books, and I know she enjoyed knowing so much of her personality went into Susan’s mother. My mother is now eighty-five years old. A few years back, she proclaimed she didn’t care what people thought any longer. She said she’s lived long enough to say and do what she wants. That made it easy to base Mama in my “Two Sisters and a Journalist” series on my own mother in her later years. I grew up with three brothers who thought they were comedians. I can’t tell you how many whoopee cushions, fart machines, farts recorded on cassettes, belching contests, and just about any other manner of PG-13-rated potty humor went on in our house. I won’t say which brother, but one of them had so much gas one summer, he kept a notebook and logged each one as it passed. My mother laughed at those boys until she cried. We all did. If you don’t know by now, my “Two Sisters and a Journalist” books have bathroom humor in them. With the popularity of Melissa McCarthy and over-the-top humor in movies, I decided to go this route with the series. 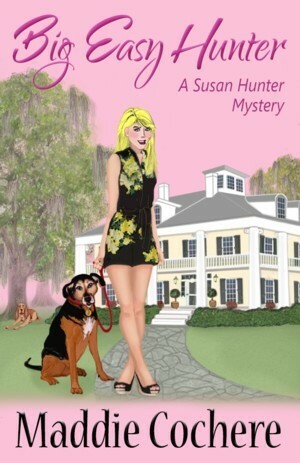 Where Susan Hunter wouldn’t pass gas in front of herself, Jo Ravens and her family are less couth. There are a few incidences of minor swear words (four in my new book), but they are used as humor rather than as angry swearing. 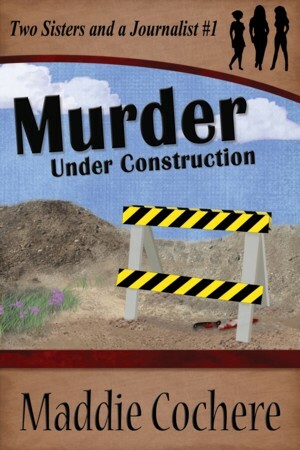 In Murder Under Construction, Jo laments the fact that her mother passes gas while shopping and then walks away, allowing Jo to come around the corner and walk into the gas cloud. Anyone coming near Jo would assume she was the offender. True story. I told my mother if she didn’t quit doing that to me, I wasn’t taking her shopping any more. My sister called one day to tell me she picked Mom up to take her to the grocery store, and as Mom walked across the back porch, every step produced a puff of smoke. Upon further inspection, she realized Mom had put foot powder in her sandals. She was laughing so hard, she could barely tell me about it. 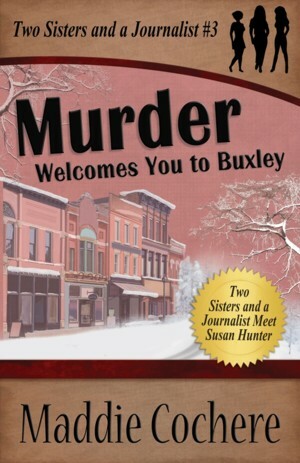 In Murder Welcomes You to Buxley, Mama has an incident with baby powder in her shoes at the bowling alley. One of my nieces read Murder Under Construction and asked her mother, “Has Grandma read this? Does she know she’s in here?” The false teeth incident gave it away for her. My mother has threatened my siblings on occasion. She’ll tell them not to tell me about something she did, because it will end up in one of my books. She’s right, but she always laughs when it does. I know she secretly loves it. 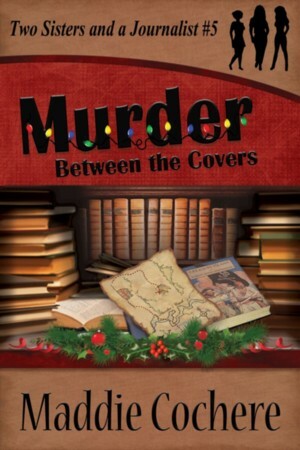 Just last week, I published book number six in the “Two Sisters and a Journalist” series: Murder – A Chummy Affair. Mama is her usual inappropriate and silly self, but her bowling crony Lucille, who was mentioned in a previous book, has a bigger role this time, and she has chronic flatulence. My mother loved the book and thought Lucille was hilarious. Of course she did! My mother’s middle name is Lucille. I’m in the mood to give books away today. 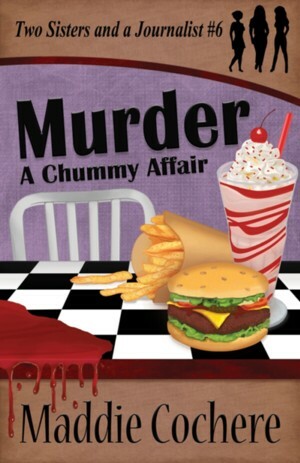 If you would like a copy of Murder – A Chummy Affair, let me know in the comments section below, and I’ll send a book to you from Amazon. If you need a copy for a different format, I’ll send a code for a free book at Smashwords, and you can choose the file that’s right for your eReader. 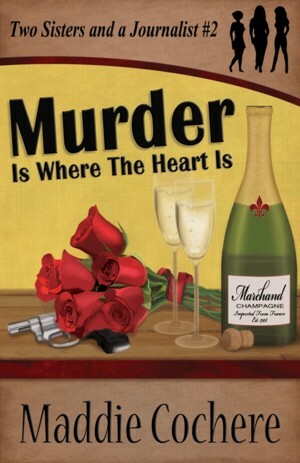 Just make sure you let me know which venue – Amazon or Smashwords. If you prefer to write and ask me personally, my email is on my About page. Finally, I was going through old pictures for a family member last week, and I came across pictures of my mother and father. I forgot how attractive my dad was when he was young. He could have been in the movie Grease!